Legendary pianist Arthur Rubinstein has been quoted as saying, “The more I play, the more convinced I am the pedal is the soul of the pianoforte!” No doubt he was speaking about the piano’s damper pedal, also known as the sustain or right pedal, but to some extent his comment is applicable to the una corda, or left pedal. 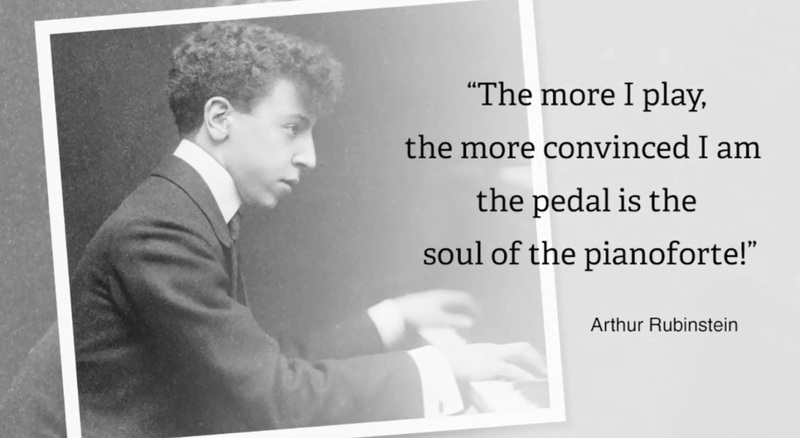 In the early days of electronic keyboard instruments it was typical for the sustain pedal to record just two values – on and off. 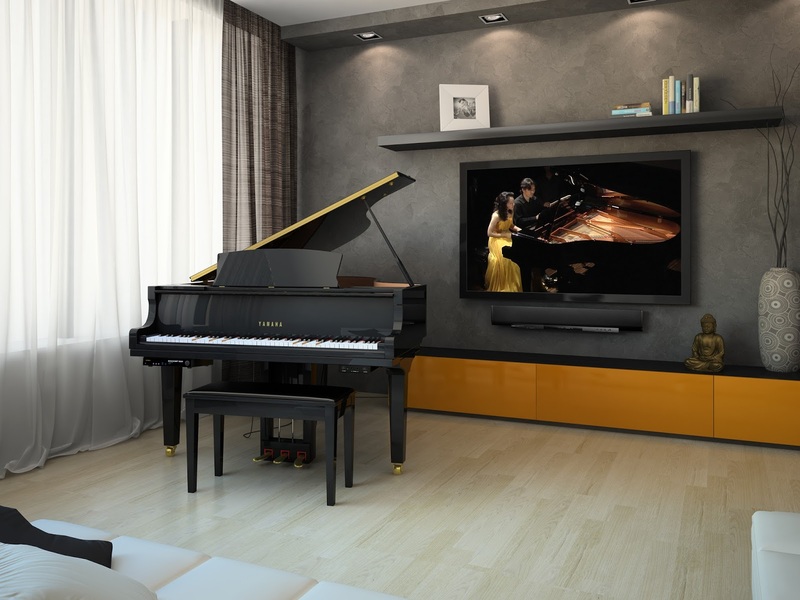 Today however, sophisticated hybrid keyboard instruments, such as Yamaha’s AvantGrand, and digital pianos, such as Yamaha’s Clavinova, record a spectrum of incremental values that represent the full motion of the sustain pedal. Oddly, most reproducing acoustic pianos, except the Yamaha Disklavier, still have just two settings, on and off. 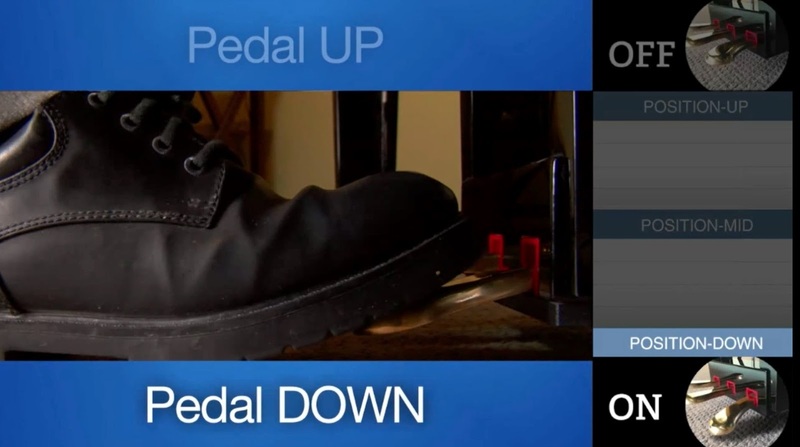 Let’s take a look at how the sustain pedal is used in an actual performance and why incremental pedal data is so important. 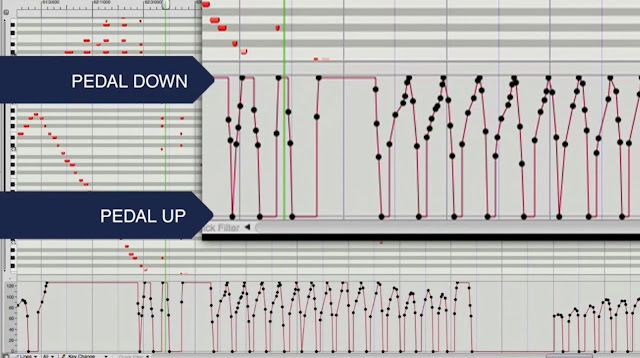 Below is a graphic representation of a pianist's performance of a work by Frédéric Chopin. Note in this section the pianist moves the pedal swiftly between fully down and fully up. Despite the swiftness of those pedal movements the Disklavier recorded incremental pedal locations between fully up and fully down, and that incremental pedal data is used by the Disklavier to ensure smooth pedaling on playback. Now let’s take a look at the sustain pedal data in a performance of a piece by Claude Debussy. In the sample below, notice how long the pianist kept the pedal in the half pedal range between fully up and fully down. In this range of pedal motion the damper only slightly engaged the strings to a greater or lesser extent, thus only partially damping the notes. It would be impossible to reproduce the half pedaling accurately if they instrument could not record and playback incremental pedal data. 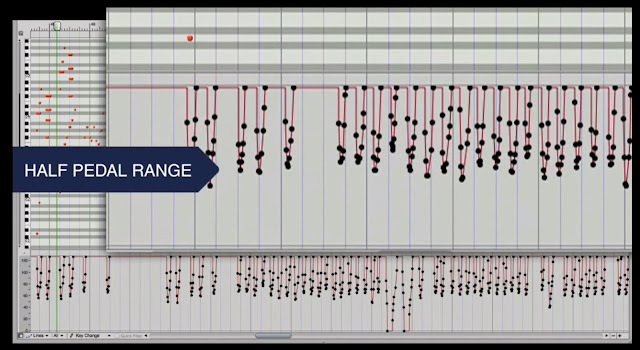 This incremental pedal data is another example of how the Disklavier’s superior technology records and plays back piano performances with all of the expression and nuance of the original performance. Watch the video below and Pianist and Music Technologist George Litterest will take you through the pedal movements of a Disklavier. NoteStar – Free digital sheet music app!